If you are travelling from Tokyo, you would be surprised as to how different both of these cities are, just hours apart but both Kyoto and Tokyo are poles apart when it comes to history, culture and people. I was in Kyoto for three days, and some might feel its more than enough, but for history buffs, you could spend a lifetime here and still be surprised by their shrines, and the unique cultural experiences this beautiful city has to offer. I know, many of you would have a limited number of days to spend in each city, so three days is just enough to explore the best of Kyoto. 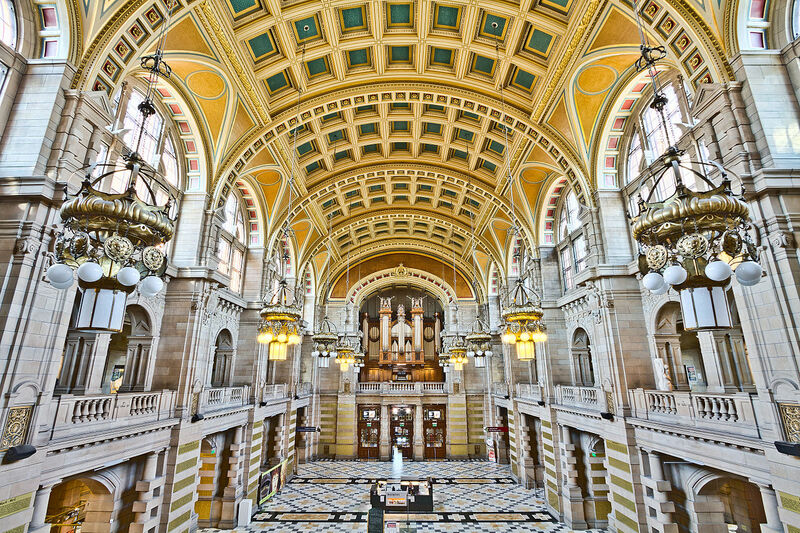 In a later blog post, I shall be covering day trips from this city as there a quite a few days trips options too. 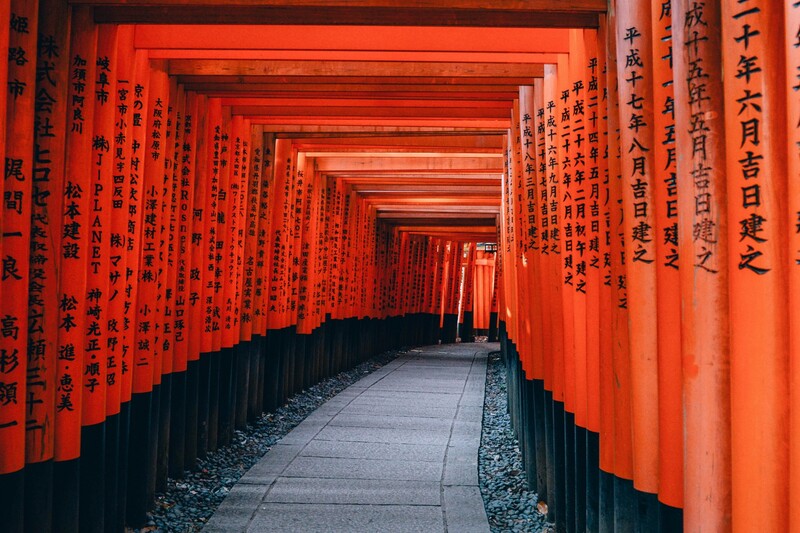 Fushimi Inari Taisha Shrine – Full of tourists this place is a must visit if you wish to avoid the rush time make sure to go early in the morning. You can hike up the trail following the orange pillars which is a rejuvenating walk. The hike takes around 2-3hours depending on your pace. 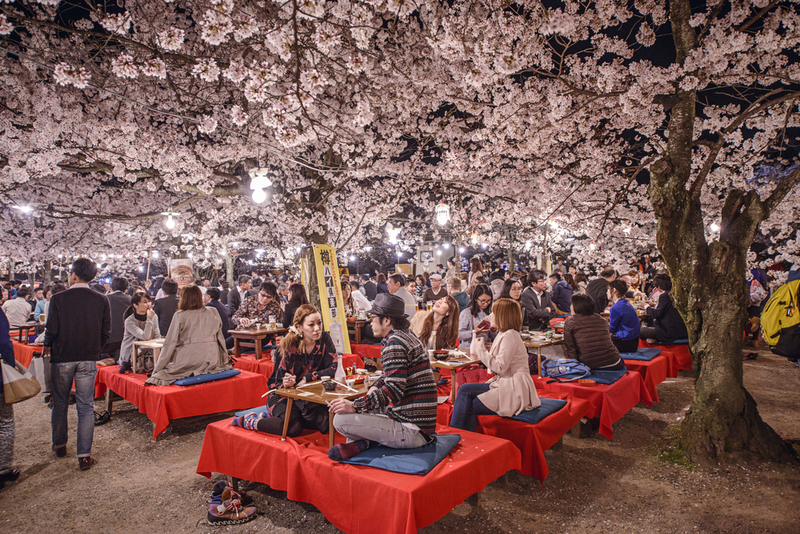 On the way, you will even find a few eateries where you can grab a bite or two. The attraction is easily accessible from the JR station, so you don’t have to worry about booking a guided tour. 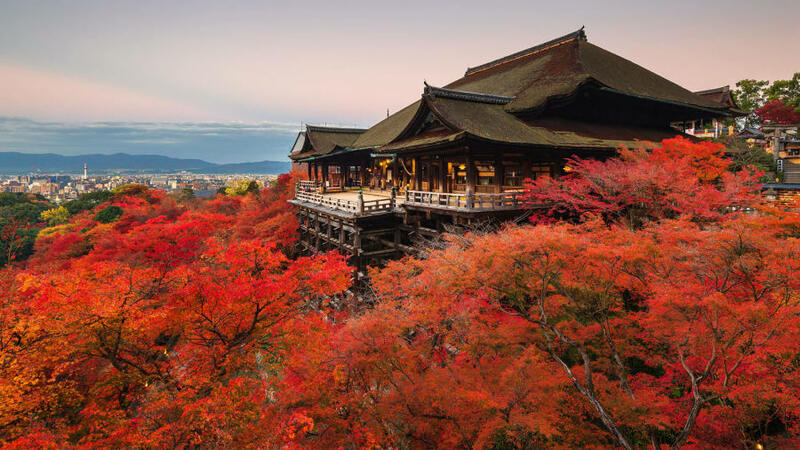 Kiyomizu Dera Temple – If you are in Kyoto just for a few hours venture into this picturesque temple. 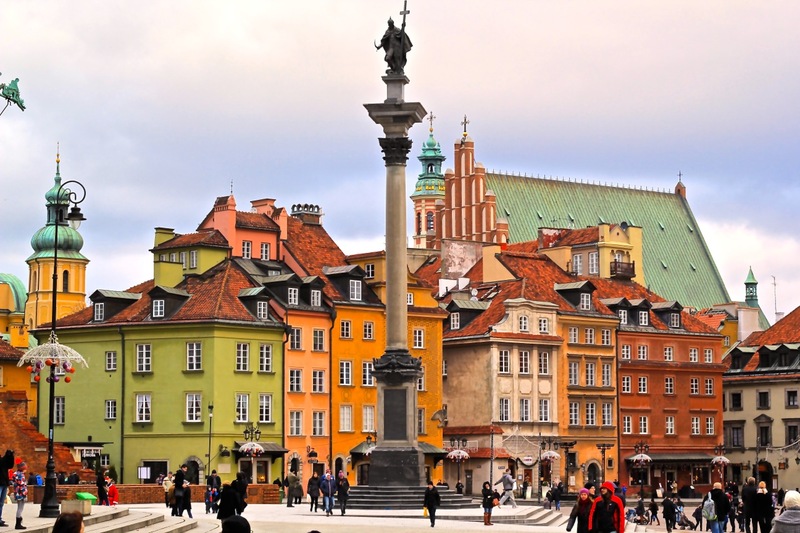 It’s a UNESCO world heritage, you need to buy a ticket to visit the inside, but it is worth it. The view is spectacular from here and to hear the history is overwhelming. The walk up to the temple is stunning as on both side of the walkway are local shops and restaurants selling impressive stuff. 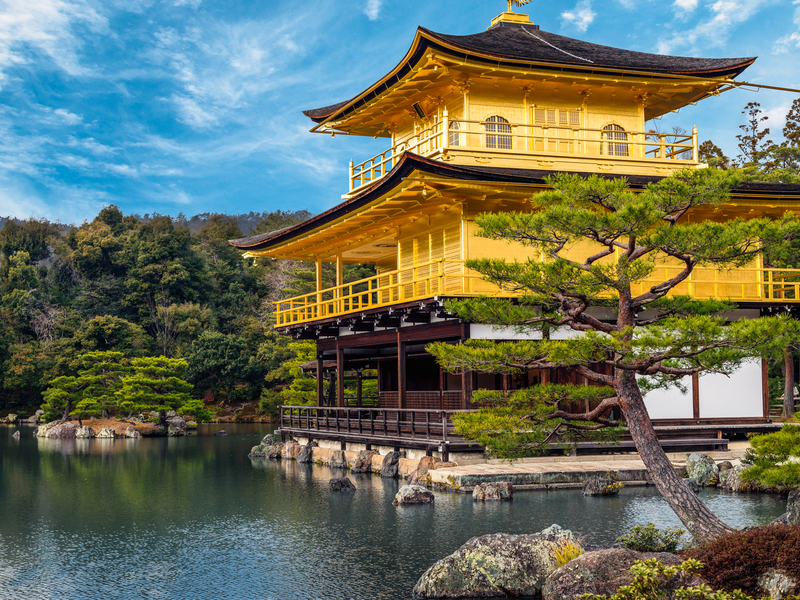 Kinkaku Ji – Shining bright this golden pavilion is captivating, after Fushima Inari one of the second places which are flooded with tourists. The temple is surrounded by a lake, and on a good day, you can even see the reflection of the temple in the water. Take a walk around the garden as its charming. This place is a bit of a walk from the station so you can either take the JR bus or an uber. 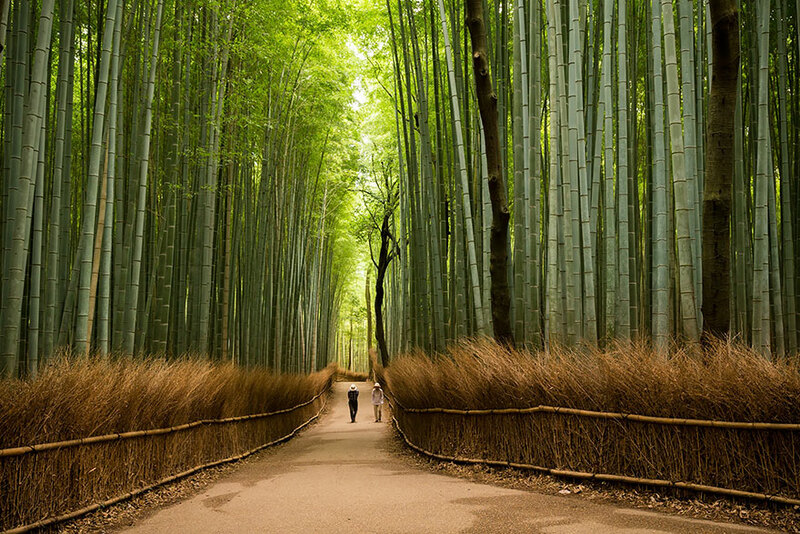 Arashiyama Bamboo Grove – I was enchanted by this place, something which I haven’t seen before. After doing a bit of my research, I realised this place gets swamped with tourists, so I made it a point to visit it during the early hours of the morning which gave me enough time to visit and walk around the bamboo pathway without the struggle of pushing any tourists or waiting for a decent picture. This place is tiny, so you won’t enjoy it surrounded by hundreds of people. 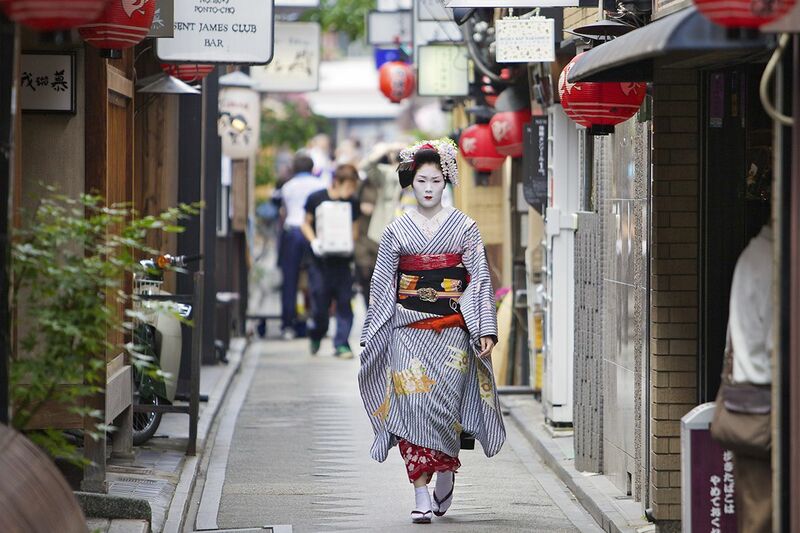 Gion District – If you are lucky you might spot a geisha here, just like I did. Explore the eccentric district of Kyoto which is known for its entertainment and art. You can even try the traditional tea ceremony around this area; it is pretty popular. Gion is considered the heart of Kyoto so don’t miss out on it. 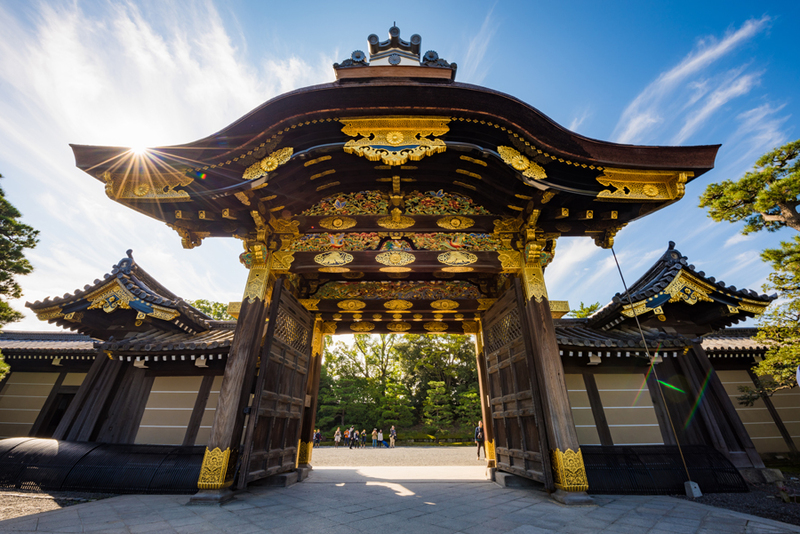 Nijo Castle – Learn about the Japanese history by visiting this stunning castle. It takes a good few hours, and you can immerse yourself with the knowledge you are about to receive. This used to be an imperial palace before being open to the public, so a lot to see and learn. The entire castle is surrounded with stone walls which are marvellous. 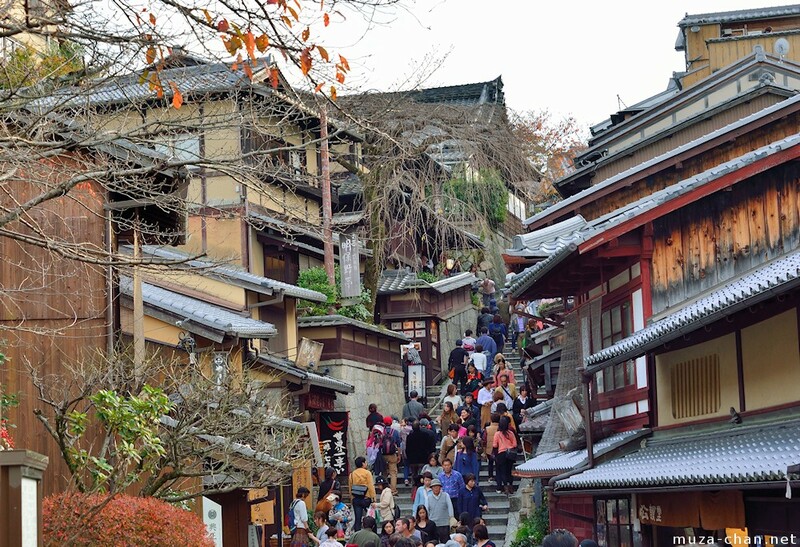 Higashiyama – A few steps away from the Kiyomizu Dera is this steep road leading towards another spectacular area called Higashiyama. On the way, you will witness a lot more shrines and another special temple which will grasp your attention will be Ninna Ji temple. You can find a lot of Kimono rental places around here, crockery shops and their famous local dishes. Walking around this area, you will understand why Kyoto is so different from Tokyo. Imperial Palace – Don’t confuse this with the Nijo castle, it’s a completely different area. Unfortunately the day I visited it the guided tours had just got over which I wasn’t aware of, but regardless it was a good walk around the gigantic gardens and witnessing the first blossoms of the cherry blossom tree. You will see families enjoying a picnic here, jogging, yoga classes, etc. This palace used to be the resident of the Emperor of Japan until it was moved to Tokyo. 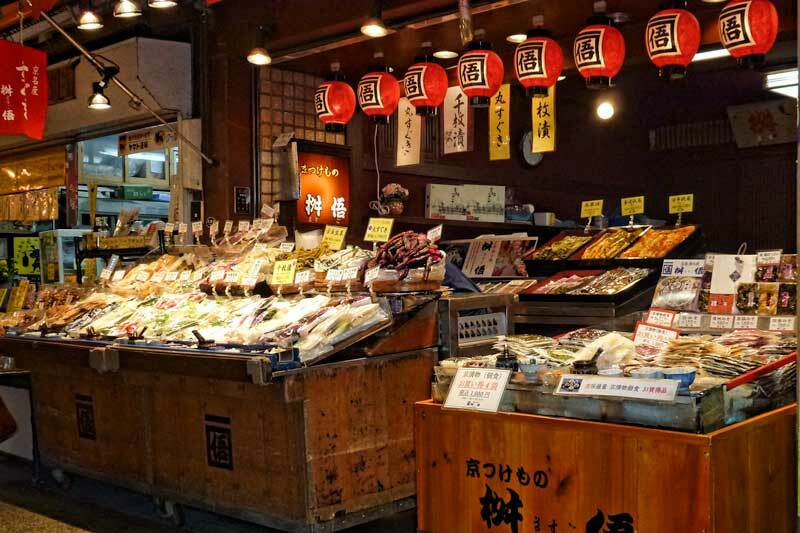 Nishiki Market – It would be good to see one of Kyoto’s famous markets especially if you are interested in their food or would like to purchase some handicrafts and souvenirs. It is a busy market where you can come close to Kyoto’s local products and being a part of Kyoto for centuries this place surely should make it to your bucket list. Maruyama Park – Witness the real zen gardens and be fascinated by the lovely flora and fauna this place has to offer. If you have time choose a calm place to sit down and reflect on life. I had one of the best walks around here, felt so close to mother nature even after being in a city atmosphere. With such dynamic attractions, each one has a story of its own and intense character which is charming in its way. 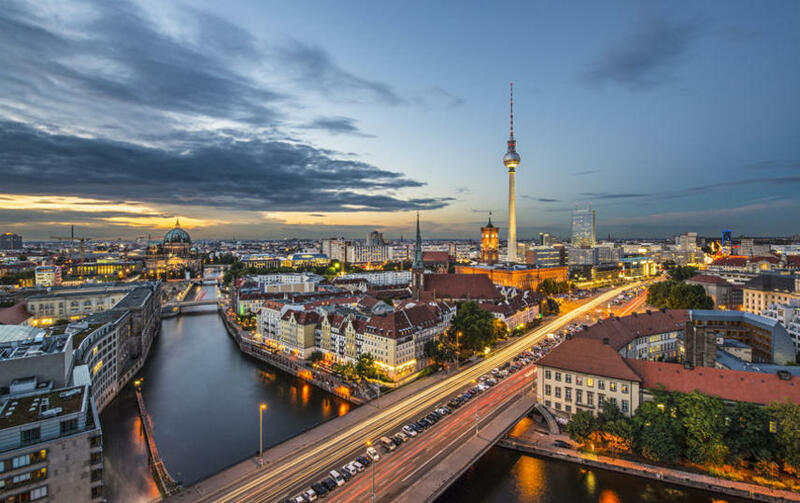 If you have three whole days, this itinerary can be followed with a good pace. There are quite a few shrines and temples which I could eloborate about but the most intriguing ones are mentioned in this detailed post. Hope you have a good time in Kyoto, and do let me know ur recomendations for the same. Thanks, so glad you enjoyed reading it.